Haruki Marakami was born in Kyoto on January 12, 1949, and is one of the most popular Japanese writers in modern history. He later moved to Hyogo Prefecture (Asiya) in 1950. In 1974, after graduation, Haruki Murakami opened the Peter Cat jazz bar in Kokobinji, Tokyo, which he later moved to Sendagaya/Tokyo. In April of 1979, while watching a baseball match, Murakami was inspired to write his first novel – Hear the Wind Sing, which was part of the Trilogy of the Rat. Despite being translated into English, the novel has not been released outside Japan mainly because he believes it is not up to quality and is too fragmented. However, in 1979, he won the Gunzo New Writer Award (Gunzou Shinjin Sho) for Hear the wind Sing, which also made it onto American shores. Murakami’s work stands out among other Japanese writers because of his musical themes, humor, nostalgia and the style which is more freeform. For instance, he named his novel Norwegian Wood after a song by The Beatles known as Rubber Soul. In 1980, he published his novel Pinball, which is also part of the Trilogy of the Rat. In 1982, he sold the bar and started writing for a living. In the same year, another part of the Trilogy of the Rat was published – A Wild Sheep Chase – which won him the Noma Literary Award for New Writers (Noma Bungei Shinjin Sho). In October of 1984, he moved to Fujisawa/Kanagawa and later to Sendagaya/Tokyo in January 1985. In 1985, Murakami released The End of the World and Hard-Boiled Wonderland, the latter of which earned him the Junichi Tanizaki in 1985. In October of 1986, he traveled to Greece and Rome. However, it was when he released Norwegian Wood when he gained national praise in 1987. Murakami’s works are very accessible to readers mainly because they have been translated into more than 38 different languages. He moved to New Jersey where he worked at Princeton University as an Associate Researcher and later became a nominated Associate Professor in January 1982. 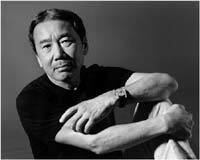 In July of 1993, Murakami moved to Santa Ana, CA, where he taught literature at William Howard Tufts University. In 1995, he wrote The Wind-Up Bird Chronicle for which he won the Yomiuri Literary Award in 1996. Underground was published in 1997. He later moved back to Oiso/Kanagawa Prefecture in January of 2001. Haruki Murakami has translated some of his favorite western novels into Japanese, including his short story Tony Tanikane and Catcher in the Rye. Tony Takitani was adopted by Jun Ichikawa who turned into a 75-minute feature for which he was the director. In 2005, he released several short stories, including Chance Traveller, Hanalei Bay, Where Am I Likely To Find It?, The Kidney Shaped Stone that Moves Every Day, and A Shinagawa Monkey. His novel After Dark was released in English in 2007, 1Q84 in 2009, and his Colorless Tsukuru Tazaki and His Years of Pilgrimage. Haruki Murakami is mostly known for his unreal and humorous work that mainly focuses on the empty mindedness and loneliness of Japan’s work-dominated society. His great work has made him an iconic figure of postmodern literature. Currently Haruki Murakami resides in the United States.